Come One Come All!! 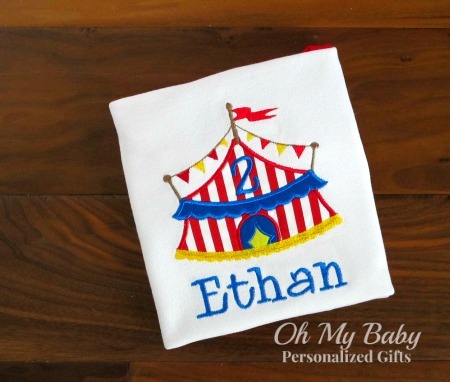 Celebrate the circus with this adorable personalized circus birthday shirt. Appliqued tent with birthday number.